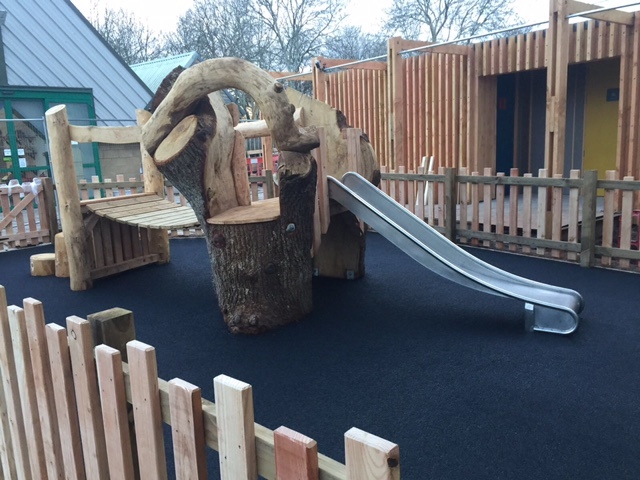 PlaySmart UK recently installed a black wet pour playground floor around a stunning new piece of wooden kit for a garden centre. RubbaSmart wet pour, is the classic safety surfacing solution for play areas. RubbaSmart is a high quality, wet pour solution. Available in a range of colours, thicknesses and designs, it uses a polyurethane/rubber composite mixed on site and wet poured in place to give a durable, low maintenance play surface. 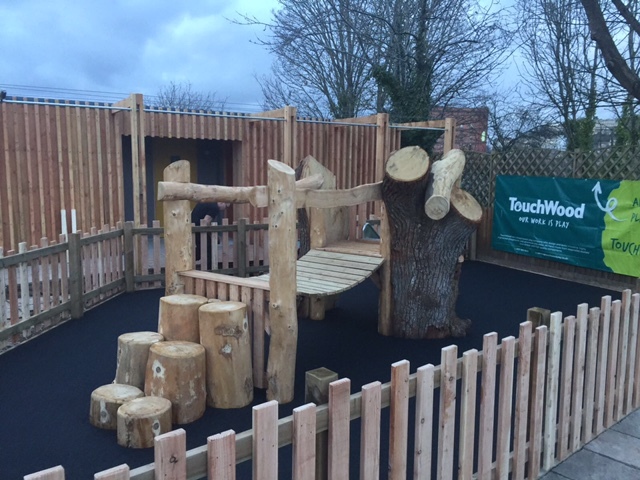 The simple playground floor was ideal around such unusual equipment, making its natural shape really stand out. Suitable for a range of uses, RubbaSmart works well for a playground floor, a park or a public place. We can install RubbaSmart over existing surfaces such as concrete or tarmac or we can lay a sub-base if required. If you’d like advice on the best surfacing solution for your area, please feel free to get in touch! You can reach our experienced team directly on 01564 742 811. Alternatively, why not take a look at our new guide? The guide features RubbaSmart as well as our other playground surfacing ranges. Click below to find out more!